When scheduling an appointment to get a car window replacement with Hollywood Car Glass, you will be comfortable with our team from the start. We make sure that all of our customers are relaxed and educated with the auto glass replacement and car glass repair process used by our mobile repair technicians. Our specialists are trained in the best replacement technology that this trade has to offer. Most of our auto glass services can be performed quickly to fit your busy schedule during the week or on the weekend. Whether you need a simple glass repair or a more comprehensive windshield replacement service, our team of highly trained experts can get most glass replacement services accomplished the right way in just a few hours. Even better, is that we can do the work in just about any safe location around Hollywood that is convenient for you. We often take care of our customer’s needs at their home in the driveway, in the garage, or even the work parking lot. Just about anything is possible when you put your trust in Hollywood Car Glass. Our company has been open for more than 20 years, and we know how to treat our customer’s right. We have made it a point over the years to bring our mobile repair service to our customers at no extra charge, and you will never find any hidden fees or surcharges on the bill after we call a job done. We believe in delivering the utmost in convenience and price to our customers, and you will be simply amazed with the overall quality of our work. We also believe in standing behind everything that we do for you 100%. This is one of the best warranties that you will find around Hollywood, and we always encourage our customers to shop around if they think they can find a better deal for the money in the local area. 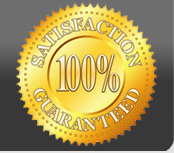 If you have any questions on how our mobile repair process works, simply give us a call. We will amaze you with the quality of our work, and our shop will always give you a free quote on our work.